The Department of Public Works has deployed all resources to respond to this latest winter storm, with crews working through the morning to clear local roadways as quickly and safely as possible. We ask anyone who must be on the road this morning to drive slowly and allow plenty of time to reach your destination. Staying off the road for as long as possible will allow our plows and emergency responders to operate safely, quickly and effectively. If driving is essential, please be conscious of road crews. Stay clear of plows and allow ample space between yourself and other vehicles. Drive slowly and with extreme caution, and allow extra time to reach your destination. 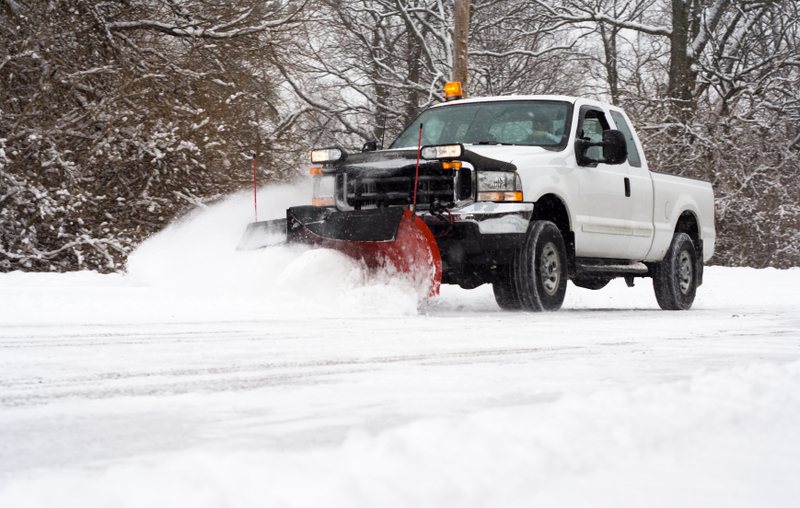 Depending on the duration and amount of snowfall, Township trucks may plow your street several times. As snow rolls off our plows, it sometimes accumulates in driveway aprons. Please understand that this is unavoidable and it is the homeowner's responsibility to clear it. Here are some helpful hints to make snow removal less frustrating: • Remove portable basketball nets and trash/recycling containers from the street in front of your house. Place them on the grass strip between the curb and your sidewalk. • Do not park cars on the street from one hour after the snow has continuously fallen until 12 hours after the snow has stopped. This speeds the removal process and prevents cars from being plowed in. • If possible, wait until your street has been plowed before cleaning your driveway. • Do NOT shovel or blow snow into the street. Snow blowers should be adjusted so they blow snow toward your house. • Shovel snow to the right side of your driveway (facing the street) to minimize the amount of snow entering your driveway. • To ensure the safety of pedestrians, residents must remove snow from sidewalks following a snow fall. Please remember that children are walking to schools and bus stops all over town. • In the event of deep snow, please shovel around your mailbox and fire hydrants near your house for your safety and your neighbors' safety. When snowfall stops, it can take an additional eight hours to complete the snow-removal operation. Public Works employees will work for as long as necessary to provide the best possible service to residents, and to ensure roads are cleared as quickly and safely as possible. Click here for a list of roads that are maintained by Camden County or the New Jersey Department of Transportation. The Township's CodeRED Emergency Notification System will help you stay up-to-date on weather-related information and other important updates. To learn more about CodeRED and to sign up to receive alerts, go to www.CherryHill-NJ.com/CodeRed. In the event of a power outage, you must contact your utility provider directly so their repair crews can identify and respond to outages as quickly as possible. Throughout this and any other significant weather event, the Township works closely with the Office of Emergency Management, Public Works, Cherry Hill Police and the Cherry Hill Fire Department to provide residents with updated information as quickly and efficiently as possible. • Updates will be posted on the Cherry Hill Township website as well as on the Cherry Hill Township, Cherry Hill Police, and Cherry Hill Fire Department Facebook pages. • The Cherry Hill School District posts news about school closings and delays and other important information at www.chclc.org, as well as on the district’s Facebook page and Twitter feed (@ChpsTweets). • You can also stay informed by signing up to receive e-mail alerts. Go to www.cherryhill-nj.com/list.aspx, enter your e-mail address, and select “Emergency Alerts,” “Mayor’s Briefings” and “Cherry Hill Headlines” to ensure you stay up-to-date on the most relevant information in any situation. A subscription confirmation will be sent to your e-mail address.